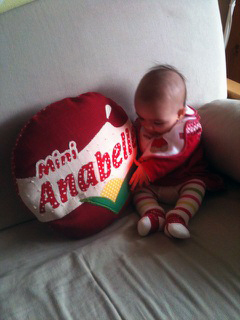 I was asked to do a very unusual and special cushion for Christmas for little Anabelle who is also been nicknamed Babybel. I’m so pleased with this and have had a good reaction so far. Here is little Anabelle on Christmas day! 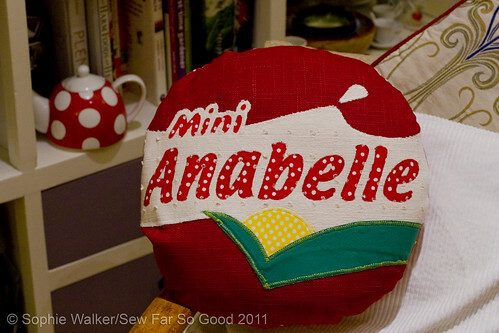 This entry was posted in Uncategorized and tagged Anabelle, applique, cushion by Sew Far So Good. Bookmark the permalink.